Where is the Hello Pretty shop? What countries will you ship to? You'e looking at it! Hello Pretty is all online, which is how we're able to bring you a range of over 4 000 designers and crafters from all corners of South Africa. So there is no physical brick-and-mortar outlet. Certain designers do allow you to collect your purchases directly from them though. 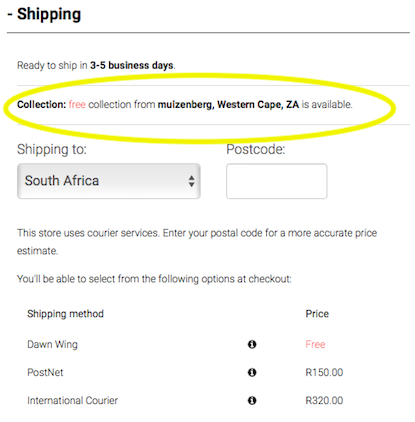 If you click on the Shipping tab when you look at a product (beneath the product photos) it will say Self Collect, and where they're based.